When you bring your luxury performance vehicle in for service or maintenance at BodyWorks by Murray Motor Imports, you can be certain it will be handled with the utmost care. As the only certified BMW and Mercedes-Benz Collision Center in Colorado, our expertly trained technicians are passionate about caring for your vehicle and are committed to keeping your luxury automobile in top performing condition. Regardless of what your auto body repair needs are, our team of service technicians are ready to help! Plus - we don't repair just BMW and Mercedes-Benz vehicles. We can handle all makes and models for Collision Repair Services. With multiple awards under our chassis, BodyWorks by Murray Motor Imports only staffs qualified and trained personnel. Our technicians have the knowledge, tools and expertise to keep your luxury vehicle looking and running in pristine, performing condition. Using the latest state-of-the-art equipment and techniques, we invite you to visit our staff page to meet the technicians you can trust. 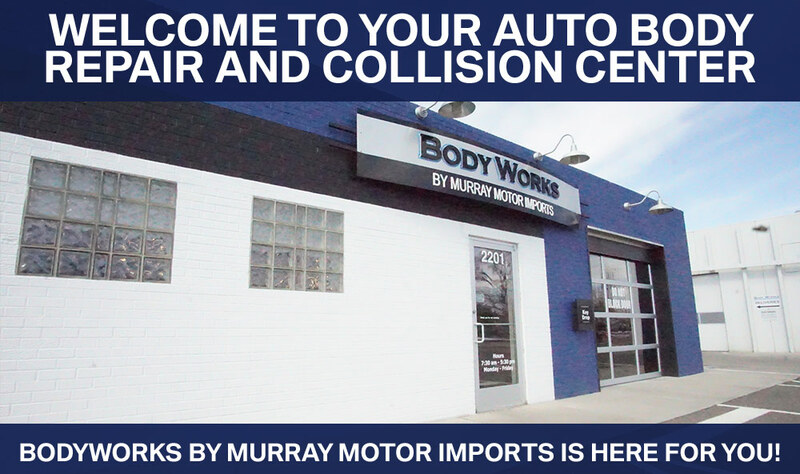 BodyWorks by Murray Motor Imports uses only the best equipment and certified parts to repair your luxury vehicle. Using the automaker-approved Car Bench Repair System, we provide more mechanical services than most dealerships. Seamlessly coordinating all of your service or parts needs, you can count on us to be your vehicle expert. At BodyWorks by Murray Motor Imports, we know your time is valuable and understand that car repair and maintenance is a hassle. We promise you'll receive competitive pricing on all services so you know what you'll be paying up front. Whether you need a minor or major repair, our main concern is getting your vehicle repaired properly. As insurance repairs are our specialty, we will work hand in hand with your insurance provider to make the process as fast and easy as possible. At BodyWorks by Murray Motor Imports, we believe our clients deserve the best service to keep your luxury vehicle driving longer. For your entire collision and auto body repair process, give your luxury vehicle the first-class care it deserves. Stop in to BodyWorks by Murray Motor Imports service center or click the button to schedule your service appointment today.